The Cairngorms National Park contains more than half of the surviving Caledonian forest and contains a quarter of Scotlands native woodland resource. Work to help conserve and expand these hugely important woodlands is essential if this habitat is to continue to flourish. 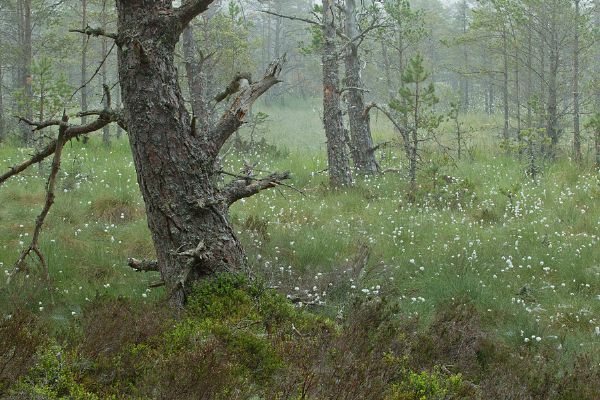 The Cairngorms area occupies just less than 10 per cent of Scotland's land mass, yet contains 25 per cent of the entire Scottish resource of native woodlands and its Caledonian pine woodlands are greater in total area and individual size than anywhere else in Scotland. The extent of native woodland is important for many specialist species of plant, animal and fungus that depend upon this habitat. Help and advice with management is available by clicking here. For advice on grants, regulations and felling licences, please see the Forestry Comission Scotland site. The Forest and Woodland Framework has been produced as a guide for the management of forests and woodland in the Cairngorms National Park. Specific advice on management for capercaillie is available here.